We always aim to go further, to grow, but without forgetting who we are. Our positioning focused on design and innovation is crucial for us. It’s who we are and what makes us grow. And we’re constantly researching to improve our products and processes, which enables us to be more competitive. We also innovate in our own machinery and production processes. In addition to our current business areas, we’ve been expanding to be able to offer all the lighting and energy solutions demanded by the market. Even though we are expanding, we try to be specialists at a local level too, and have our own production centres and handle our own commercialisation and marketing whenever possible. This allows us to adapt to local rules and regulations. This year saw the start of an initiative to approach young markets in emerging countries with a high growth potential in construction: Mexico, Brazil, North Africa, Russia, India and China. A production plant is opened in Haiyan County (China) with a local partner. Simon’s strategy is to meet the needs of this market. 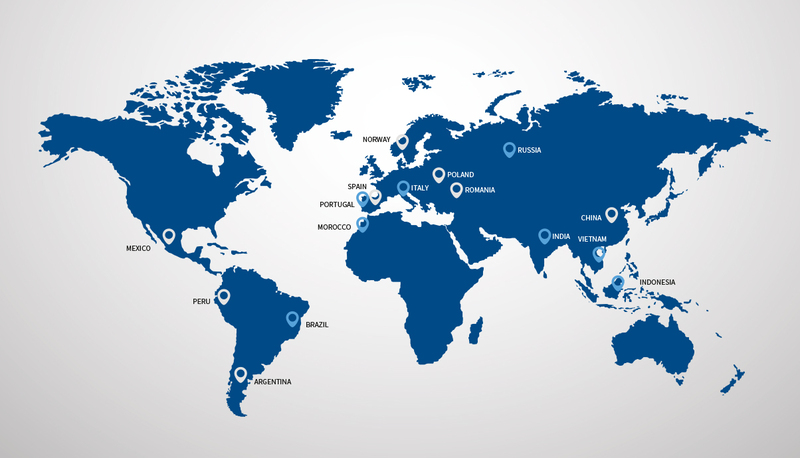 During the first decade of 2000, Simon incorporates new companies into the group, including Simon Eléctrica in Mexico for product manufacturing and sales. The internationalisation process continues. The first investment is made in Eastern Europe, establishing Simon Russia. Indo Asian Simon formed for the manufacture of electrical material in India. Opening of 81 stores dedicated exclusively to the sale of lighting products and small electrical equipment.